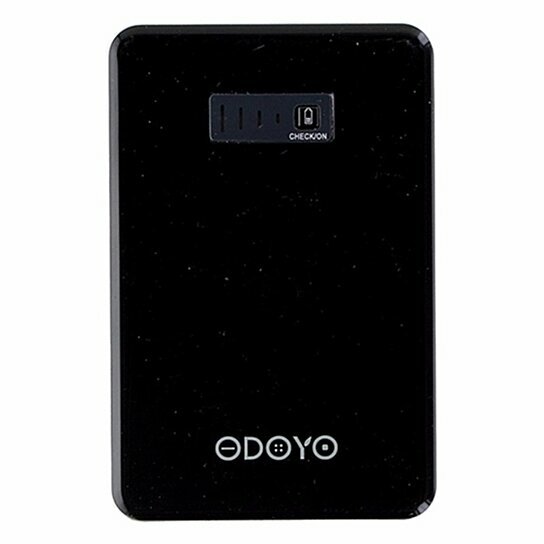 Odoyo Power Bank 4800mAh Portable Backup Battery for Cell Phones, iPod, iPad, iPhone, Tablets and eReaders. Model: (PG-PB4800). Compatible with most USB devices and digital cameras. Includes international travel adaptor for Europe, UK, US, and AU. Dual USB Ports charge 2 devices at the same time.